Tools are implements used to modify raw materials for more perfect purposes, but can also be used to destroy what once was build. Tools can be used for good or bad. They are considered extensions of one’s hand. In science the word or drawings of the hands are often used to interpret the human mind. Because the hands are symbolic of the mind, tools are also used to express where things are made of thoughts and to increase man’s speed, power and accuracy in his expression of thoughts. 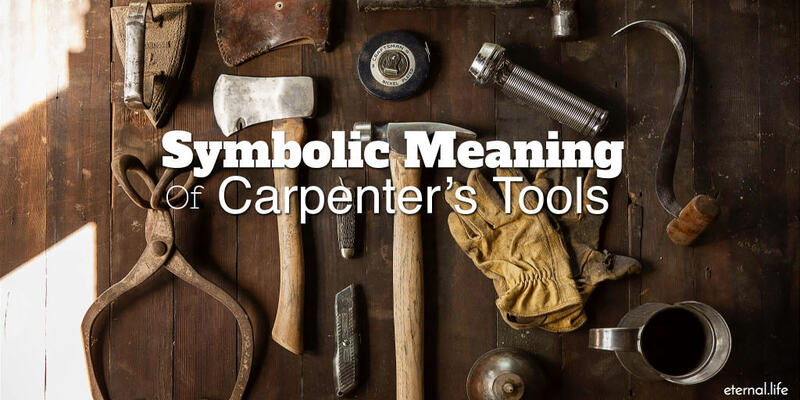 In Chapter 20 of The Aqurian Gospel of Jesus Christ we read of simple and symbolic meaning to the carpenter tools. 17) We use the hammer to drive home the truth, and pound it in until it is a part of every part. 18) We use the plane to smooth the rough, uneven surfaces of joint, and block, and board that go to build the temple for the truth. For a more detailed description of each tool and the personal application in your life, read “The Search for Him (PDF).” I also recommend a quick read of the Allegory of the Carpenter Tools. Why is it that man can relate to the “hand tools” which he can see and yet not understand the “mind tools” that are by far more meaningful to his purpose? Could it be because the inner eye of his soul is still closed?? Master tools are never seen or heard; yet they are needed in structuring all immutable perfections and things of boundless worth.